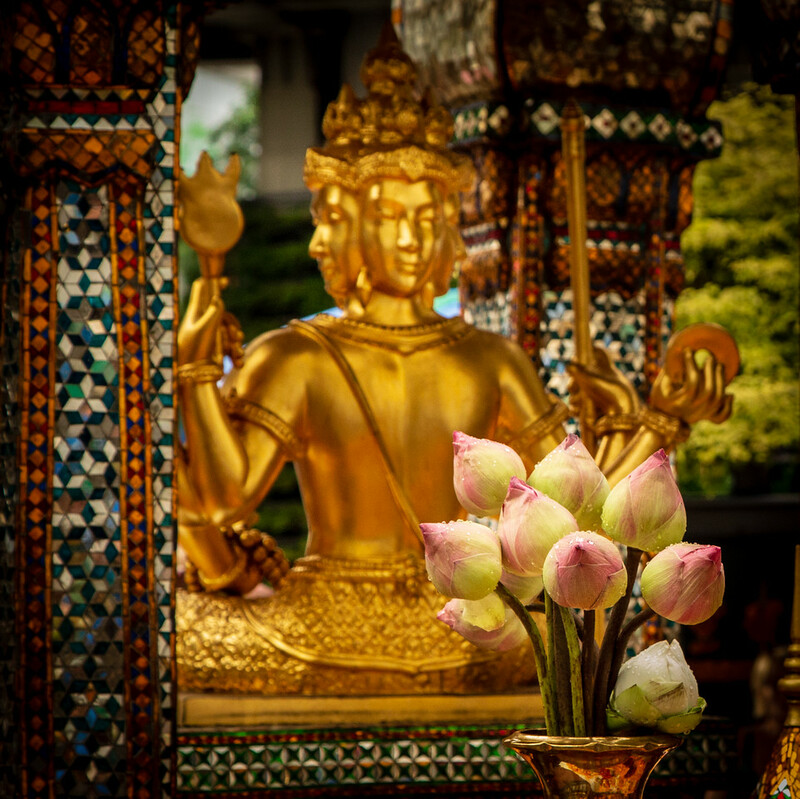 The Erawan Hindu Shrine in Bangkok, Thailand was built in 1956 on the grounds of the Grand Hyatt Erawan to appease evil forces that were causing workers to be killed during the hotel’s construction. 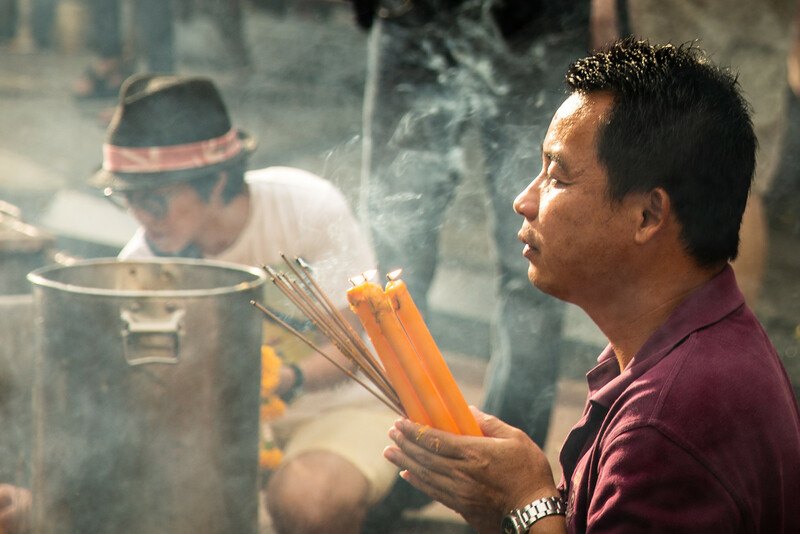 It is believed that the mishaps were occurring because the cornerstone of the property had been laid on an inauspicious date and in order to correct this Rear Admiral Luang Suwichanphaet, who also specialized in astrology, recommended that a shrine to Thao Maha Brahma and a spirit house should be built near the hotel. 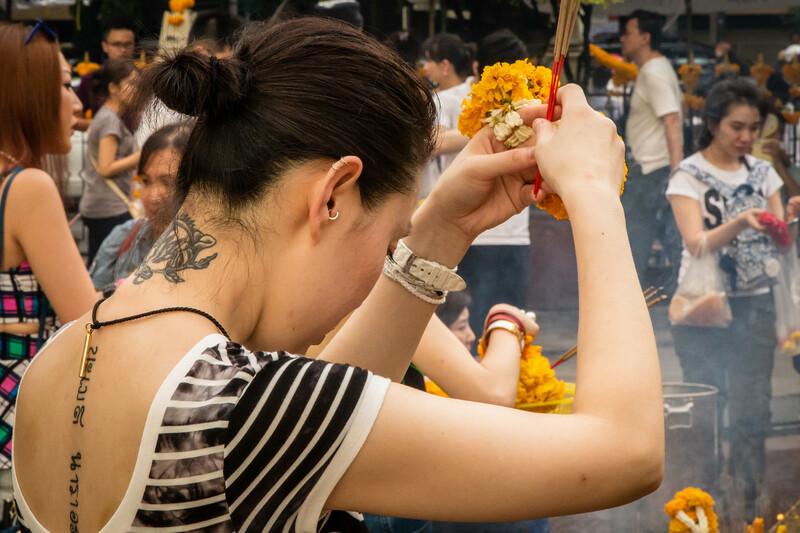 This was done, the accidents stopped and the Grand Hyatt Erawan became a huge success. 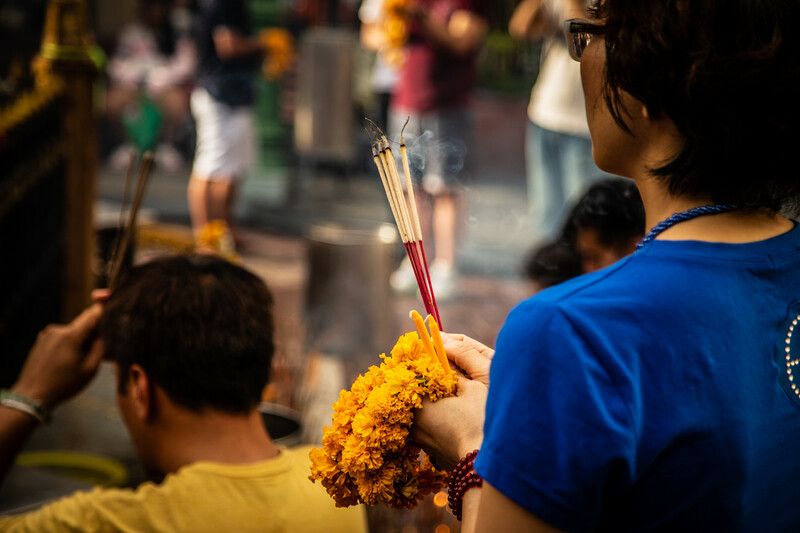 Because the building of the shrine was seen as being so effective the site quickly became one of the most revered places in Thailand: So revered in fact, that when a man with a hammer destroyed the statue of Thao Maha Brahma in 2006, he was immediately beaten to death by onlookers. A new statue, incorporating pieces of the old one, was made and put in place within a couple of months. 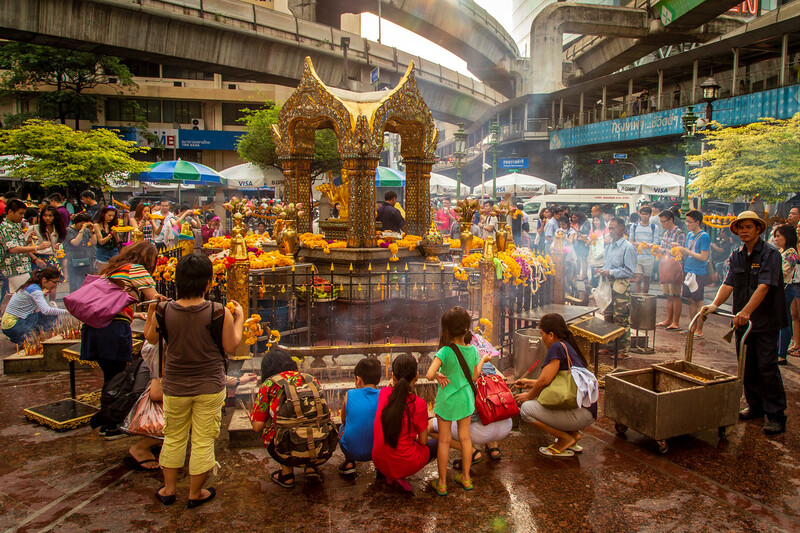 The shrine sits below the BTS SkyTrain tracks near the Chit Lom station, among some of Bangkok’s toniest properties. 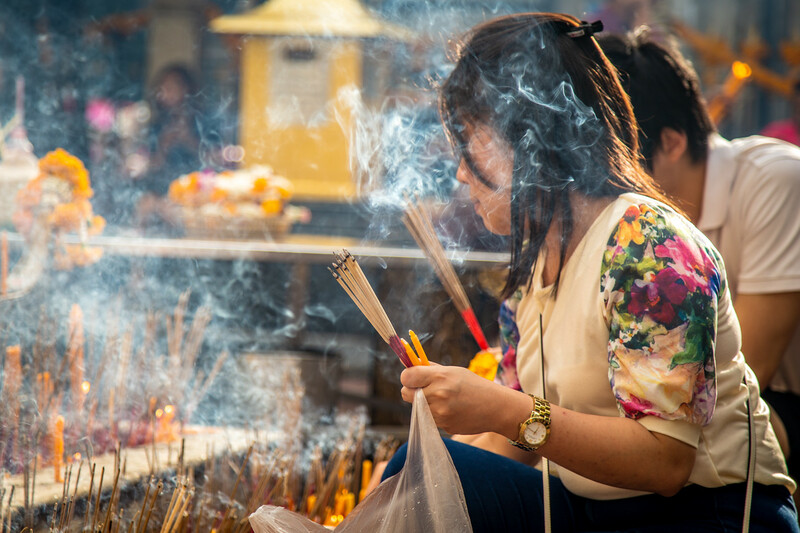 The area is always crowded with worshipers taking a few minutes out of their day to give respect to the four-faced figure in the spirit house. 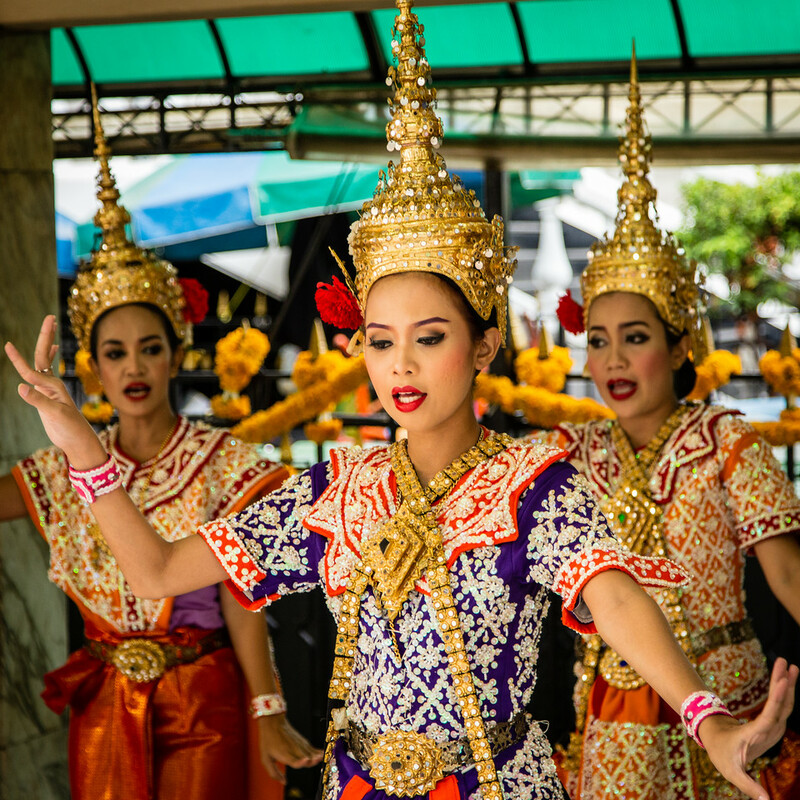 It is dizzying spectacle to see the traditional Thai dancers, smell the incense and watch as offerings of flowers are made near the city’s huge modern shopping malls. This is something you don’t really expect in a modern city like Bangkok, but then again, Bangkok is really whatever you want it to be. I made all of these images handheld with my Canon EOS 6D 20.2 MP DSLR with theEF24-105mm IS Lens Kit.